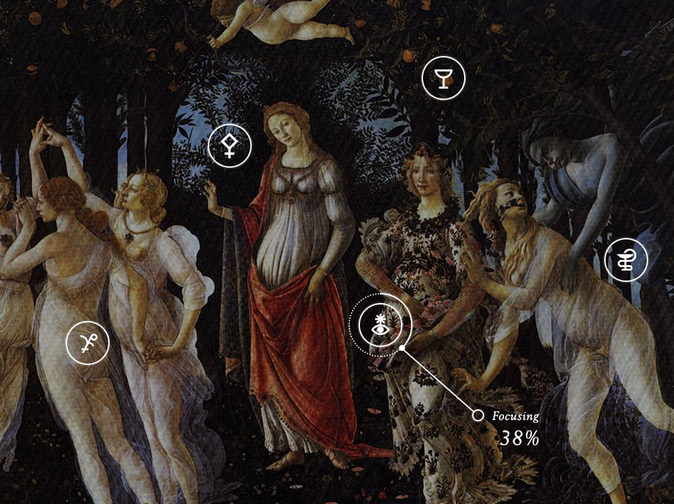 La Primavera—the largest mythological painting of the Early Renaissance—is believed to have been commissioned by the Medici family and hung in the bedroom of a bride of one its members. Primavera VR is the first virtual reality reconstruction of La Primavera in its original form and setting. We combine innovative 3D modeling, historical authenticity, and professional voice-over to create a sophisticated user experience. 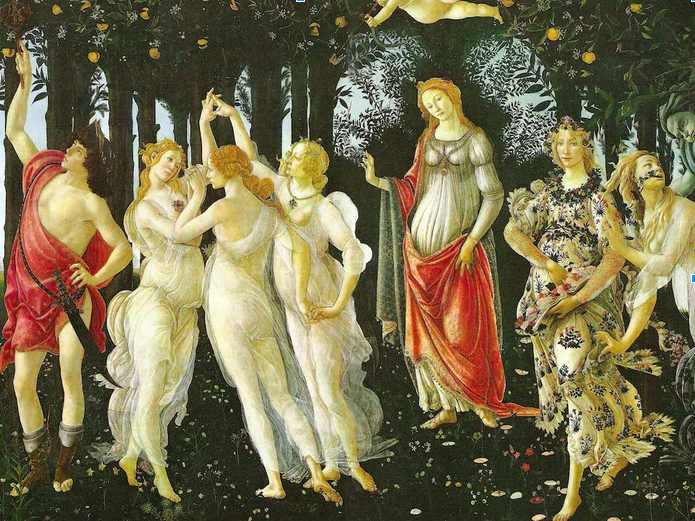 Botticelli intended for the painting to have been displayed at a height of six feet, forcing the viewer to look up at the work. 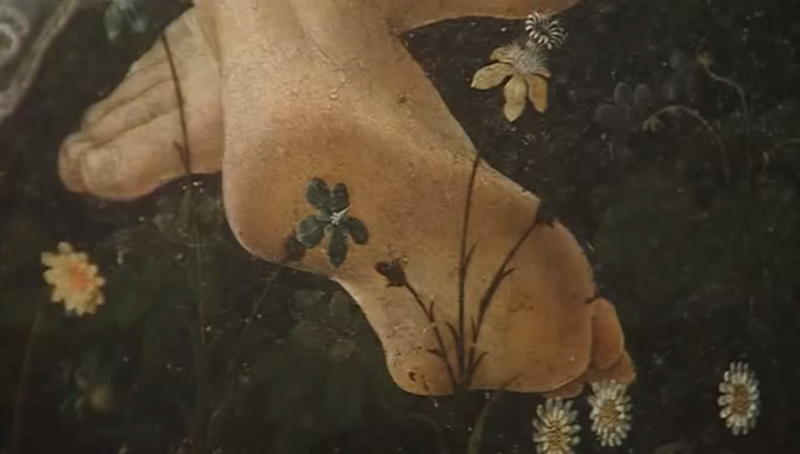 This explains some details of the painting, for example, the bottom of the foot of the central Grace is visible, forcing a lower perspective. Thanks to Primavera VR, users are able to experience the painting as it was originally intended. Viewers feel like they are actually in the room where the painting was originally displayed thanks to Oculus Rift technology. Viewers are able to interact with the digital environment in a way that makes viewing La Primavera a completely immersive and totally realistic experience. 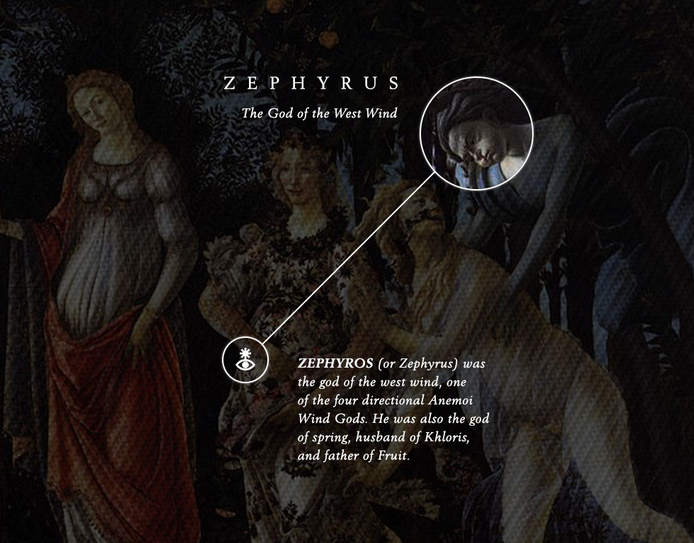 A narrator guides the users and responds dynamically to where they looking by tracking movement in the Oculus Rift. For example if the user focuses for a period of time on a detail, then the narrator will automatically begin to describe that detail. The expert guide voice will always be contextually relevant to the user’s behaviour – providing an experience that rivals being in the actual room with with an art expert. Primavera VR is a deceivingly simple virtual reality simulation that gives visitor an experience otherwise inaccessible without the aid of a time machine.